Laurie Dupar joins Tara McGillicuddy this week on ADHD Support Talk Radio. Tara and Laurie will be discussing the 2017 Succeed with ADHD Telesummit. This podcast episode originally aired on 7/6/2017. 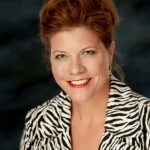 In addition to her own ADHD Coaching Products and services Laurie Dupar is also an ADDClasses.com instructor. Have You Reached Your ADHD Tipping Point? If you found this this Podcast helpful please leave a review on iTunes. ADDClasses.com the leading resource for virtual ADD / ADHD Support and Education. It provides free Teleseminars and Webinar and has an extensive audio library with more than 175 hours of courses. It also offers more in depth support programs for adults with ADD / ADHD.